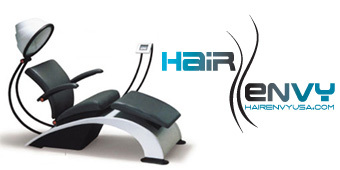 This is the web site of Hair Envy, LLC. the consumer’s domain name and e-mail address (where possible). and/or site registrations, name and address, telephone number, fax number. us at the above telephone number, writing to us at the above address. relationships with any ad server companies. information is used, you should check back at our Web site periodically. (e.g., name, address, phone number) that we maintain about them . write to us at the above address, writing to us at the above address. information that we have collected from you at our site.